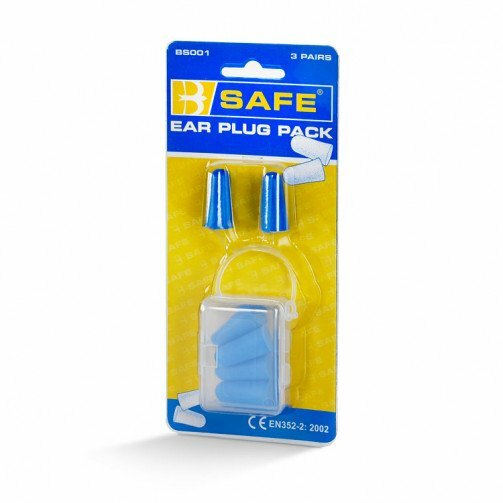 Disposable Ear Plugs, 3 pairs to a pack. Tested by Inspec in accordance with EN325-2:1993. 89/686/EEC relating to Personal Protection Equipment (PPE). Supplied in a clear plastic case with integrated clip-on handle for attaching securely to your belt. The plastic case will hold two pairs of ear plugs at one time.